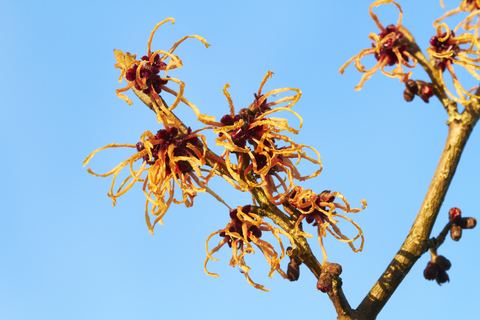 The leaves and bark may be used to produce astringents also referred to as witch hazel, and is used medicinally. This plant extract is widely used for medicinal purposes. It is mainly used externally on sores, bruises, and swelling. Witch hazel is a strong anti-oxidant. It is often used as a natural remedy for aftershave applications, ingrown nails, cracked or blistered skin, for treating insect bites, It is recommended to women to reduce swelling and soothe wounds resulting from childbirth.